All relationships get complicated when the freshness of love first time face the everyday serious side of life, that’s why it’s so important to find something new in your relations and don’t let everyday routine kill the romance. Try to provide a new moments in your relationships, leave your own four walls and breathe in the new air. 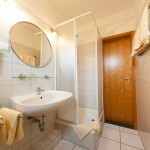 Come to our Hotel an der Weide in Berlin-Mahlsdorf, run away from the routine. 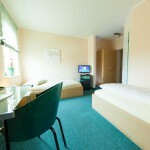 Enjoy your time together, book an elegant double room for you and your beloved and spend a relaxing holiday in Berlin. You will experience a pleasant stay between city and nature. 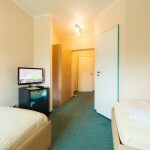 Our hotel is very conveniently located and is easily accessible from the B1/B5. Should you arrive by car, the parking is not a problem, because we offer on-site free parking directly in front of the hotel, so there are no unnecessary extra costs. 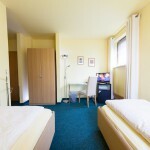 However, if you are travelling not by car, you can reach us conveniently by the Berlin S-Bahn (city rail) or by bus. 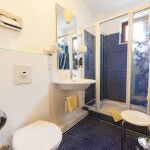 Our double rooms are equipped with flat screen TV sets with cable connection, comfortable double beds and bathrooms with a shower, toilet and hairdryer. In addition, we provide free Wi-Fi throughout the entire building. If you are an animal lover, you can bring your beloved pet with you. Breakfast is the most important meal of the day; after a restful night you can enjoy a delicious breakfast in our own Café, which is open even for the last long sleeper. In addition to different variations, such as a healthy fitness breakfast or a cheese breakfast, we have delicious cakes to choose from. On weekends and holidays we offer our hotel guests a delightful selection of cheese/cold meats, bread/rolls and everything your heart desires at our huge breakfast buffet, so you can create a delicious breakfast yourself. We will fulfill all your desires to make your presence here as comfortable as possible, if there is something we can do for you, inform us and we will try to accommodate that. 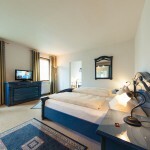 We look forward to your visit in our Hotel in Berlin-Mahlsdorf.